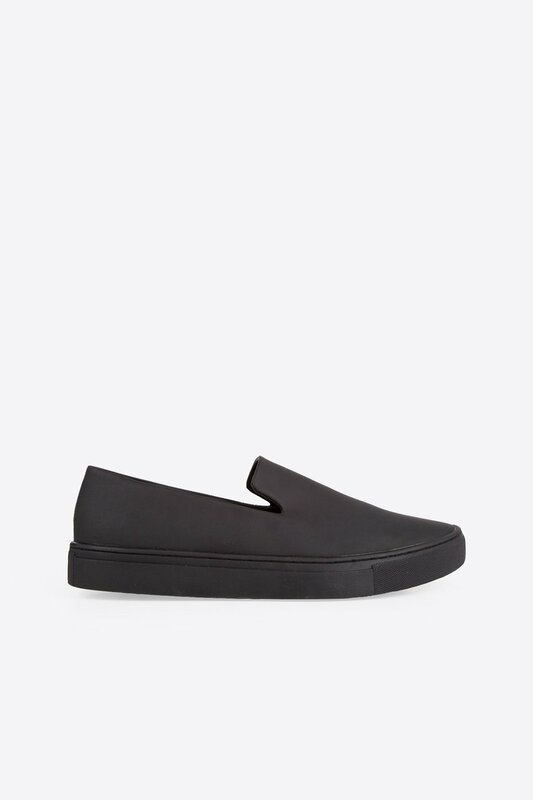 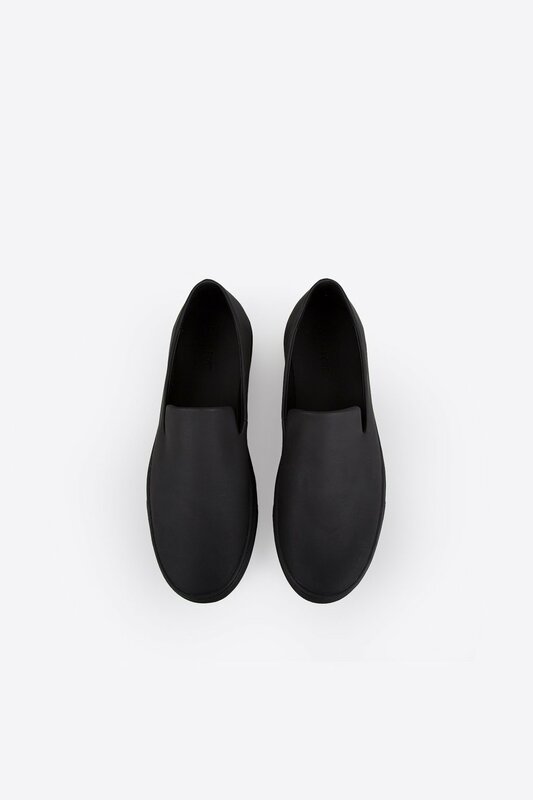 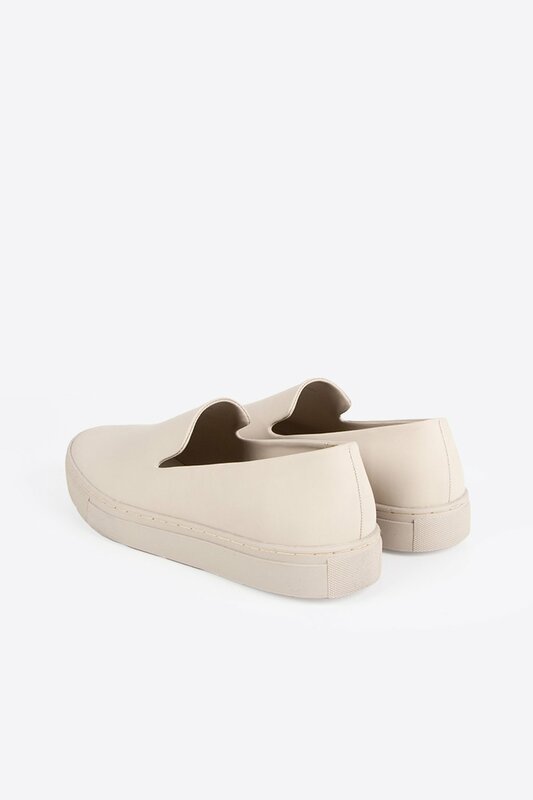 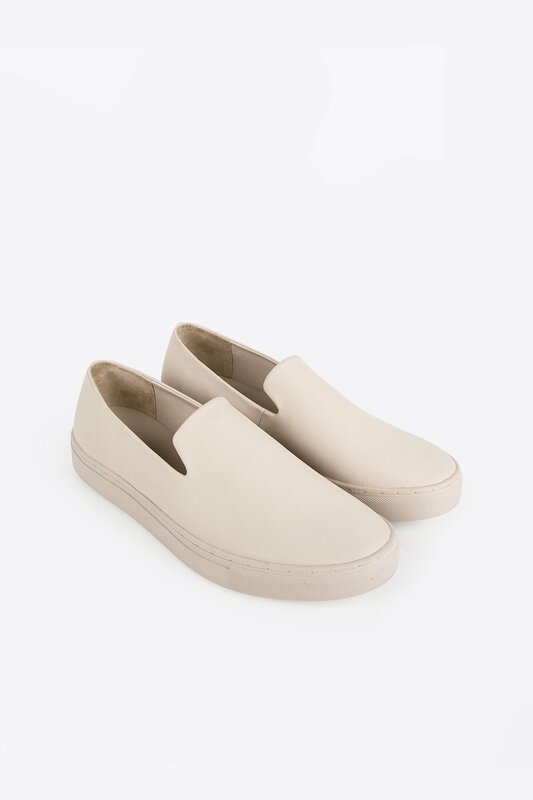 Minimally designed, these slip-ons are crafted from smooth matte vegan leather with a rubber sole. 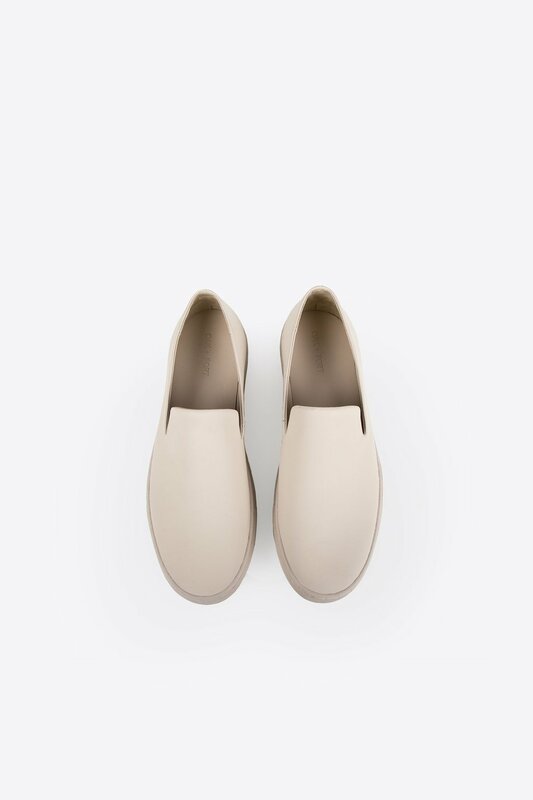 Incredibly comfortable to wear, this pair of shoes is versatile in nature and a thrill to style with. 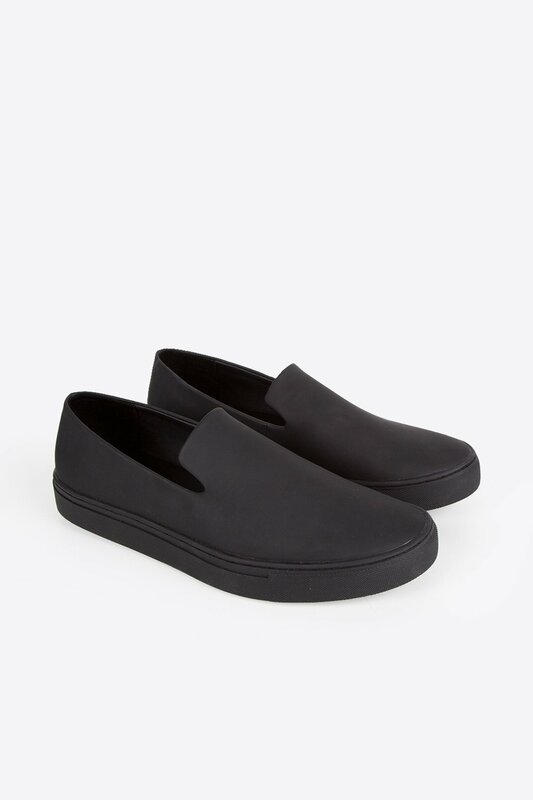 Pair with your favourite patterned socks for a layered combination of boldness and style. 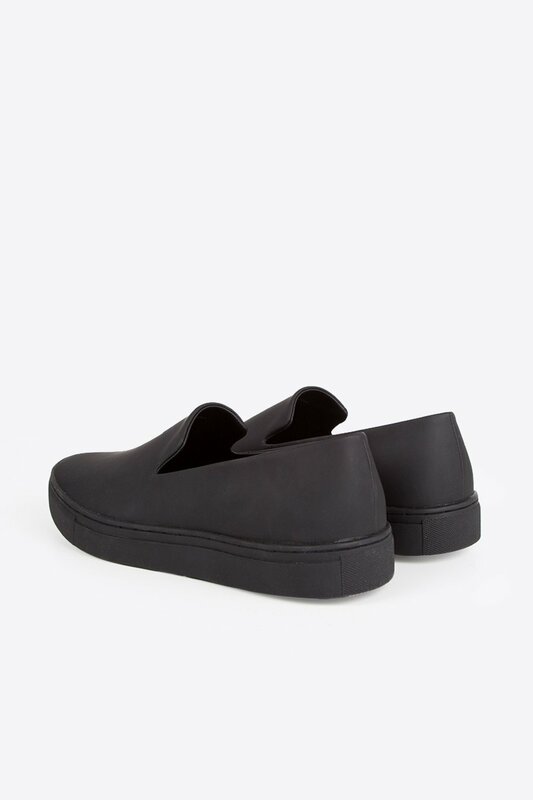 Fabric Content: Matte Vegan Leather Also available in Black.